First of all I have been dying to read this book for months every since receiving an ARC but I wanted to wait till nearer the release date to actually read it. So, it's been sitting on my kindle unread whilst I've been trying so hard not to have a peek. You can imagine my excitement when January rolled around and I was finally able to delve into this book that had been consuming my mind for the past few months. Scarlett and her younger sister Tella have lived on the isle of Trisda all their lives, under the rule of their cruel, dictator of a father. Her father, having arranged a marriage for Scarlett to a mysterious Count, hopes that this will keep the unruly Tella on the isle and under his wing. 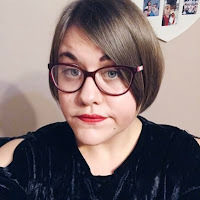 However, a few days before her wedding Scarlett receives a letter inviting her, Tella and a third guest to participate in Caraval - a once a year performance where the audience are the participants. This was due to Scarlett's correspondence with Legend, the the organiser of Caraval. With the help of a mysterious sailor, Julian. Scarlett and Tella are soon off to Caraval. When Tella goes missing minutes after arriving Scarlett, despite her upcoming nuptials must play the game if she has any hope of finding her sister and winning. Wow! Is all I could say about Caraval. I was sucked in from the moment I started the first chapter. 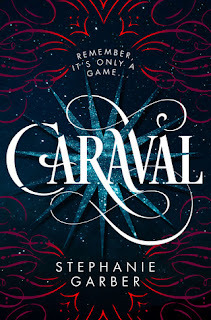 As I got further into the story I became fascinated by the concept of Caraval and how twisted and mysterious the world really was. The world building was remarkable and I really enjoyed how you found out more about this world bit by bit. It wasn't all revealed at once. Stephanie Garber structured the world amazingly and the twists and turns kept me hooked for the whole 416 pages. The magic was something else that was really appealing. At the start you get the idea that Scarlett and Tella don't live in a magical world. In reality they live in a dull, bleak one. With misery consuming them. However, as soon as you step into Caraval you start to believe the the magical elements of it. The journey you take with Scarlett as she finds it hard to establish magic from reality is something you can feel as a reader. In Caraval everything is a performance. Can you really figure out is real and what is not from that though? That is a question that I was asking myself a lot when reading. The relationship between Scarlett and Tella is sisterly love to the core. You don't get a lot of sisterly bonds in YA fiction these days so it was nice to see that. This bond also dominates and was after all the main plot of the story, so very rare to see in this type of fiction. I love how Scarlett was willing to do anything and put herself through all these tests just to find her sister. You definitely get the idea that Scarlett loves Tella more however. Scarlett's relationship with Julian was something unexpected. I knew there was going to be a romantic plot point but I certainly wasn't expecting it to be these two. Despite this, I grew to love them. Their romance was a slow burner which is always good. I despise insta-love with a passion so this was good to read. I feel that they are the right match for each other, as Julian was always there to help Scarlett and Scarlett in a way helped Julian discover who he really was. 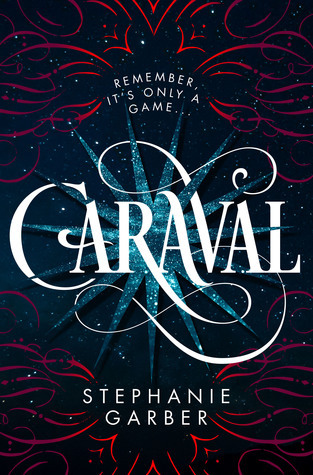 Overall Caraval was an amazing read and will probably end up being one of my favourites of 2017, despite it still being January. The magic, mystery and thrills kept me hooked and the cliffhanger although frustrating made me excited for the next instalment. Which I cannot wait for! As a child, Stephanie wanted to be an explorer until she realised that most of the world had already been explored. So she started creating my own worlds instead, which is why she now writes young adult fantasy. When she's not writing, she teaches creative writing a private college in northern California. She is also a blogger on Pub(lishing) Crawl.